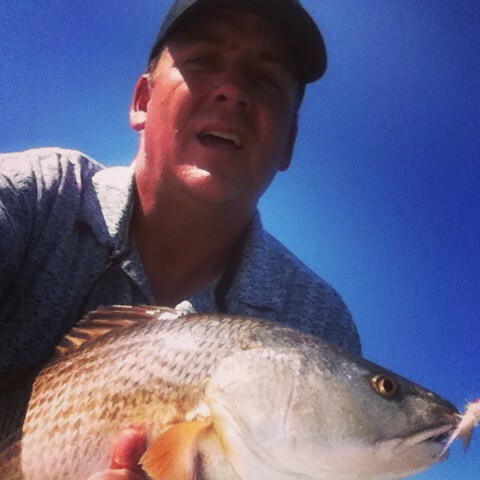 Great day of saltwater flyfishing for redfish in NC. It was incredible! No hyperbole at all. Started out slowly. It was a high tide falling out, starting around 7 and ending around 1. Water was high when I got there so I was tossing a topwater plug. Worked through some familiar water with no bites. Decided to head up a back channel. 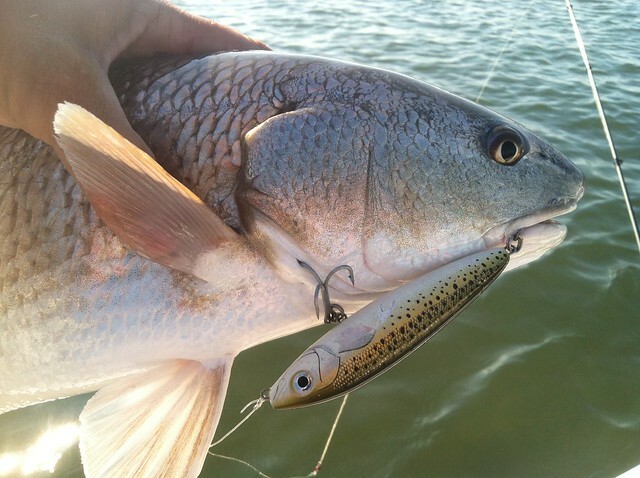 As soon as I turned in, a nice fish slammed the Rapala Skitterwalk like it hadn’t seen anything better….well, ever. I was right on the edge of a strong current so the fish put up a good showing with some strong runs and good head shakes. It went on like this for the next two hours. 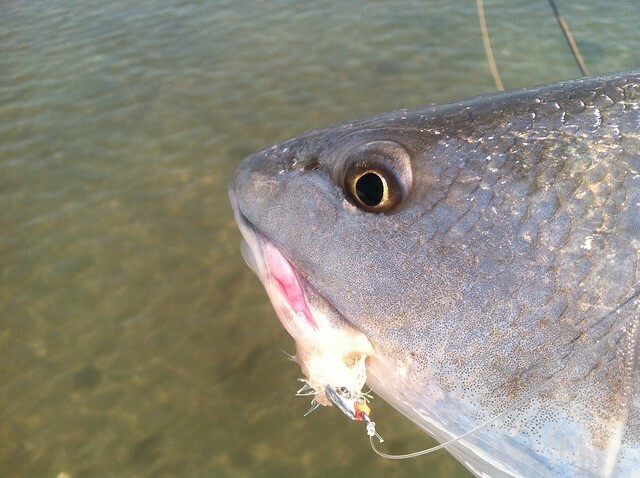 I would spot a fish, switch the push pole to the fly rod, cast and the fish would happily slurp my fly. The water was amazingly clear and I could see everything as it happened. Since it was a big open flat, every fish took off into my backing. Fish were there but so was the wind.